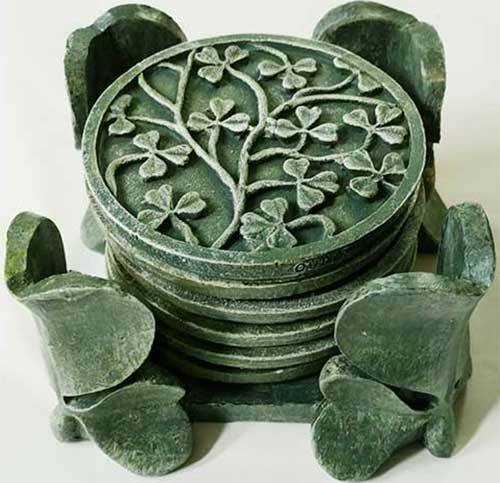 These Irish coasters and the holder have the look of stone, but are made of resin. 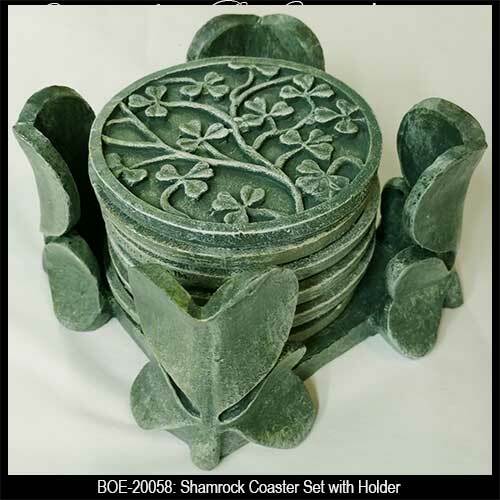 These round Irish coasters feature a shamrock motif while shamrock leaves enhance the included 4" wide x 3 3/4" tall holder. 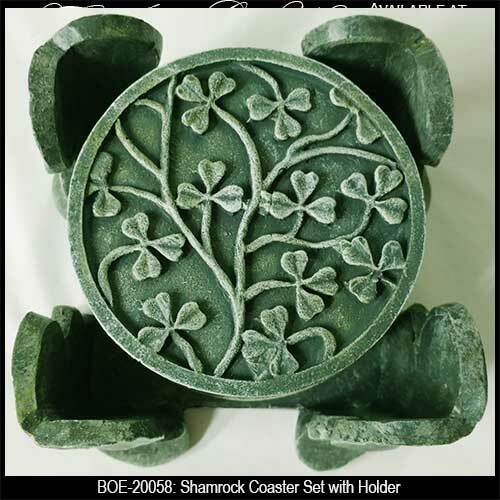 The six shamrock coasters measure 3 1/4" diameter and both they and the holder have resin construction with have padded feet. The Irish coaster set is gift boxed with a shamrock history card, complements of The Irish Gift House.